This store is located on Covington Pike between Elmore Rd and Pleasent View Rd. The manager of this store is Nicole George. Carlton was the perfect salesman, he helped me tremendously. Love it ....my dream car. Sales person Jasmine was great and fun to work with although we have not made a deal yet. 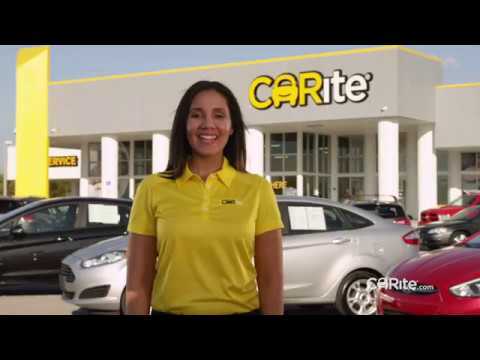 Before buying my car here I had never even heard of Carite. However once I made it in everyone was so helpful and willing to help in anyway possible. Thanks to Jasmine and Russel they made it as easy as possible to look at and purchase the vehicle I wanted. I couldn’t have been more pleased with my experience. I’ve never had such a pleasant experience at a car dealership and will be more than happy to buy from Carite again! I bought a 2013 Chevy Camaro from Carite in Memphis. My experience was excellent. Lori and Russell worked hard to get me in the car i wanted. I would recommend them to any and everyone looking to purchase a car to stop by at Carite on Covington Pike and see Lori. I was referred to Carite by a friend of mine. I went in just to talk to Ms. Lori Franklin about future possibilities and I was put in a wonderful car that day! I was very skeptical of purchasing a vehicle from a car lot but the staff there made me feel at home. The process was not stressful at all. I would recommend this place to anyone. I love my 2015 Kia Forte! I am Michae Goings,I was at the Memphis location and was helped by the lovely Jasmine Watson. Who down a excellent job from the first intial call to walking to my car. Overall on a scale of 1 - 10, most definite 10. But, that's not just to Jasmine but everyone that was involved in the sales process. But, Jasmine ? Jasmine was great... Got a car less then 2 hours!!! It was a great experience for us. The atmosphere was great and everyone was super friendly!!!! Where do I start. I know we gave Mr. Carlton Watson (who was professional) a hard time, he and the crew made it happen! Thank you for putting her in the car she really wanted Carlton you are really good at what you do,It was a pleasure working with you. We will be back, and I will make sure we send others your way! Me and my credit was in a fight so I went an saw my boy Carlton at CARite on Covington Pike. With a $1000 down I'm riding the town. You don't have to wait till tax time to get a ride like mine. I'm in a 2016.Thanks for a great car buying experience. Don't forget to tell him Johnny sent ya. Had a great experience!! My sales person Lori was amazing as was the rest of their team. Quick, easy process got a great deal with jo hassle. We will be return customers for sure. Carlton Watson was simply amazing! Helped me soon as I stepped out the car, wasn't trying to force me or anything. Just asked what I was looking for and he listened and I found what I wanted. Drove off the lot with a 2013 Dodge Dart! Excellent customer service, Highly recommend! !